(91outcomes.com) - This week, fourteen Gulf War veteran advocates called for Congress to take action on a number of serious issues related to Gulf War military records lost or destroyed that continue to affect veterans more than two decades after the war began. In written testimony submitted to the House Subcommittee on Disability Assistance and Memorial Affairs (DAMA) for a December 4, 2012 hearing on transitioning veterans' records, the Gulf War veteran advocates called for new presumptives for all veterans of the Gulf War, an expansion of VA coverage to include certain Gulf War veterans inexplicably excluded from healthcare and benefits, and changes to ensure these serious mistakes are never repeated. 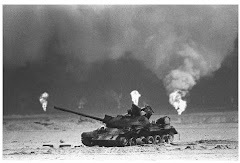 "Our statement...highlights the enduring and far reaching adverse effects that military recordkeeping failures have had for the veterans of a war today all but forgotten, the 1991 Gulf War. It is critically important to note that these recordkeeping failures will continue to negatively impact countless thousands of our nation’s veterans until Congress acts to ensure both remedial justice and substantive policy and procedural changes." "...despite well-intentioned legislation in 1998, VA has yet to produce even a single service-connection presumption based on exposure to any of the toxic hazards of the 1991 Gulf War." 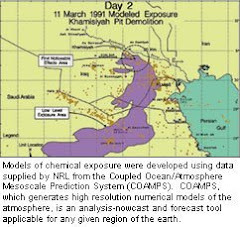 "...military recordkeeping failures mean that many Gulf War veterans exposed to toxic agents, and their health care providers, remain unaware of probable Gulf War exposures, though they are acutely aware of their debilitating chronic health conditions." "Lessons that could have been learned have not been. Lessons that have been learned have been forgotten and repeated. Countless resources have been squandered in ultimately futile attempts at recreation. For too long, veterans were ignored. More recently, Gulf War veterans have been all but forgotten, with many remaining needs and national obligations to them unmet. "These last decades of veterans’ suffering, wasted resources, and lost opportunities for lessons learned must never again be allowed to occur. Congress must prevent these issues from recurring. Veterans must not be made to suffer any longer for the failures of federal agencies. The benefit of the doubt should finally and definitively be given to veterans, not the current burden of proof made impossible for them by military recordkeeping failures."